Rosin Eyecare has proudly served Chicago and its suburbs since 1930, and patients at our Niles office can expect the same quality care and friendly service that has made us a household name for years. For more than 35 years, the highly trained staff as Rosin Eyecare in Niles at 8580 Dempster Ave. has been providing the quality of care that everyone deserves. 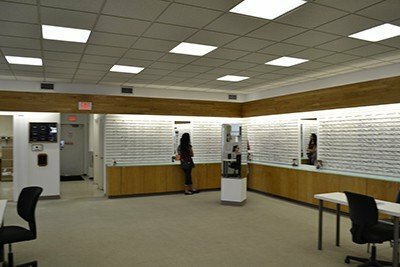 We offer comprehensive services, including eye exams, fittings for eyeglasses and contacts, a large inventory of stylish frames and more. 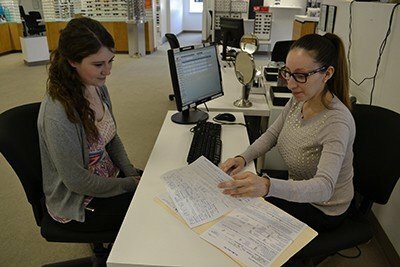 Our professional staff is happy to answer your questions and help you make the right selections for you and your eyes. We offer more than basic eye exams at Rosin Eyecare in Niles. We do fittings for specialty eyeglass and contact lenses, as well as frames that suit a variety of needs and styles. Whether you need everyday lenses or a pair that are designed for wear while playing sports, reading or are interested in exploring the possibility of LASIK, we have the expertise to help you find the perfect solution. Call us to make an appointment at (847) 699-8580 today.